New Delhi, April 9: A message is going viral on WhatsApp claiming former Chief Election Commissioner TN Seshan is dead. The fake news of TN Seshan's death is being spread widely on WhatsApp. The fact is TN Seshan, a retired 1955 batch Indian Administrative Service (IAS) officer of Tamil Nadu cadre, is alive. This is the second time that TN Seshan became a victim of death hoax. Last year, Seshan's death was rumoured in April after his wife Jayalakshmi Seshan's demise in Chennai. "Ex Chief Election Commissioner Sri. TN Seshan, the once nightmare of many political parties passed away this morning. Yesterday his wife had passed away, A real divine couple. They had no children and since long they lived in an old aged home. What a lovely loving couple.. Pray god their soul rest in peace," read the hoax message. Not only common men and women but two union ministers also fell victim to the fake news about Seshan's death. Union Minister of State Jitendra Singh had shared the fake news on Twitter. He had also tagged the Press Information Bureau, along with five others including Finance Minister Arun Jaitley. His tweet was retweeted by Smriti Irani who was then heading the Ministry of Information and Broadcasting. Seshan headed the Election Commission between 1990-96. It was said then that politicians feared only God or Seshan. He is known for bringing significant electoral reforms in the country. It was during his tenure when a limit was imposed on a candidate's expenditure per constituency. Issuance of Voter ID cards and a crackdown on all forms of bribery during the electioneering were some of the most remarkable poll reforms undertaken by him. 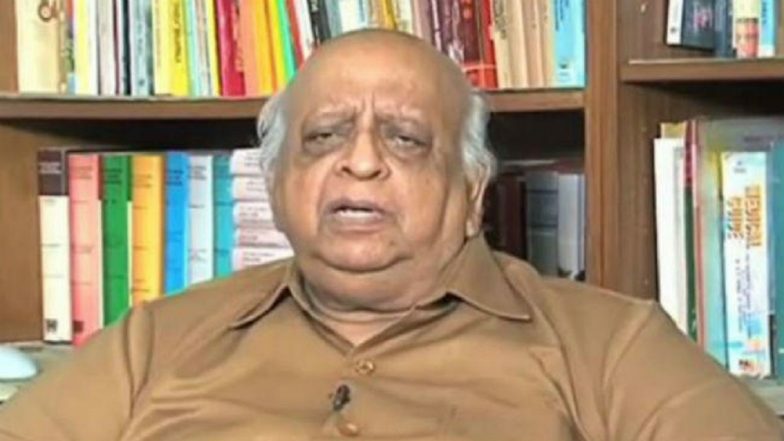 TN Seshan, former Chief Election Commissioner, is dead.